The acclaimed best selling story of Tamla Motown records - the most successful independent record label in the world. 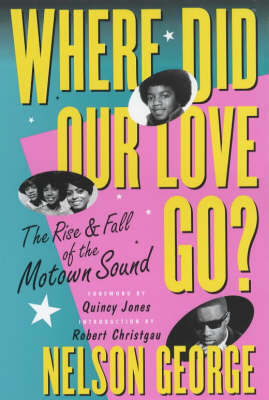 Now acknowledged by critics in both the US and Europe as the definitive account of the rise and fall of the Motown Sound. It covers the careers of all the great Motown artists - The Supremes, Marin Gaye, The Temptations, Stevie Wonder, Smokey Robinson & The Miracles, The Four Top, THe Jackson Five and many more. It tells the story behind all their hits and how the company was run on factory like principles by Berry Gordy who as a result became the richest black American in history. it paints a portrait of gullible artists signing away their rights and, eventually, falling out with Gordy over monetary matters and that many of the back room boys at Motown - the writers and the musicians who played on the records - got a pittance for their efforts.